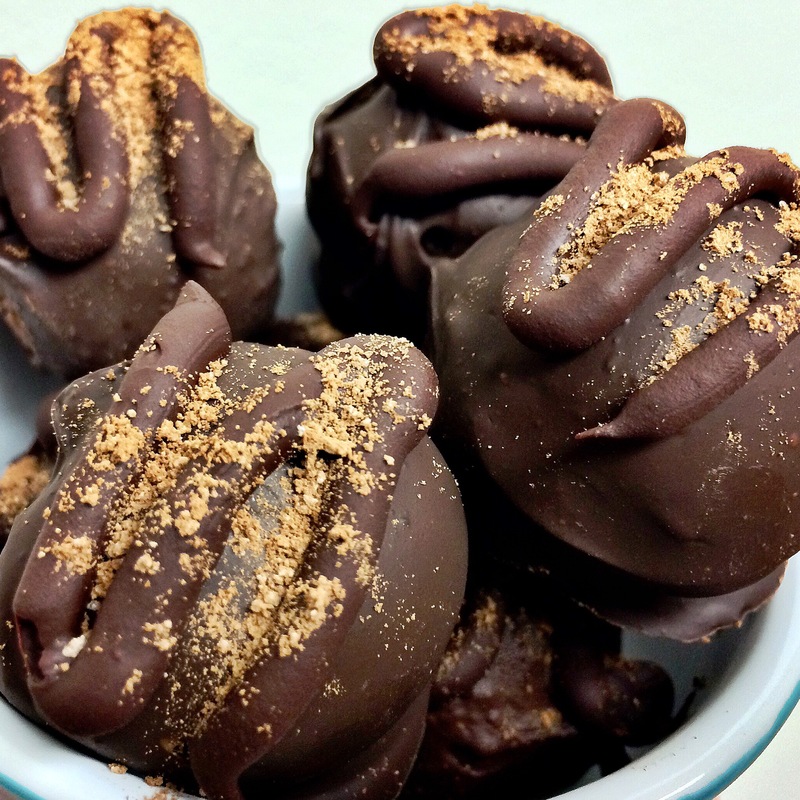 With it being my last week at the Library of Congress, I had to bring only the best of the best to my going away “Tea Party” today so, I made these delightful truffles. 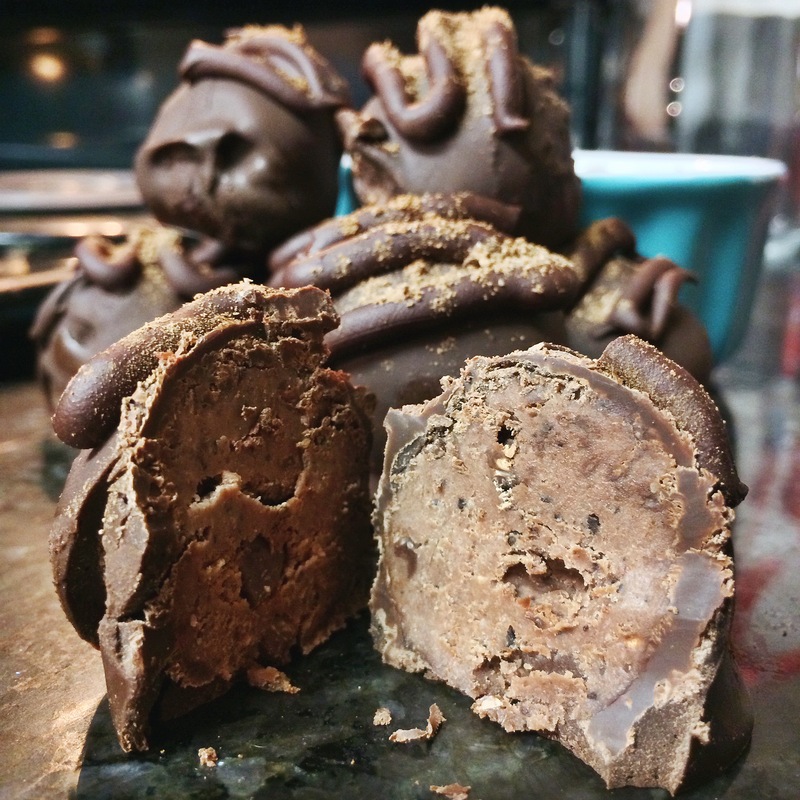 If you are a coffee lover, like myself, then try out these amazing dark chocolate raspberry truffles below. 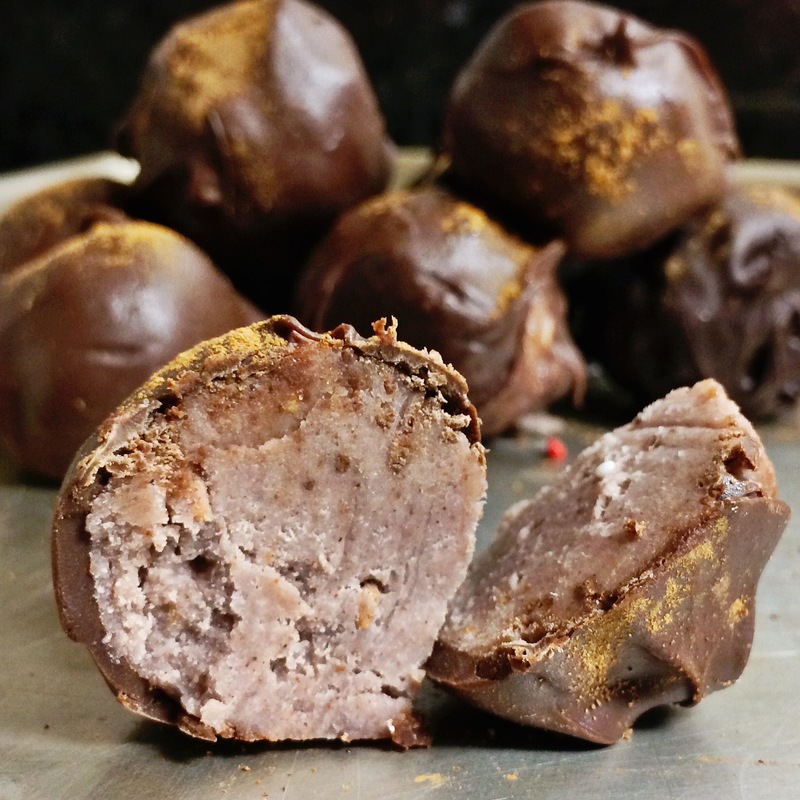 If you are a cinnamon and vanilla lover, also like myself, then try out the cinnamon vanilla raspberry truffles. Or, if you are simply exactly like me and love everything in the world, then you must try both! Enjoy! In a blender, mix coconutter, raspberries, coffee grounds and 1/2 cup of chocolate chips until smooth. Put in the freezer for 6-7 minutes, then remove and roll into small balls. Place on a baking sheet and stick in the freezer for another 10 minutes. Next, melt 1/2 bag of chocolate chips for truffle coating. Dip the truffles in the melted chocolate and place back on the baking sheet. Place in fridge to firm up until serving! Bon appetit! In a blender, mix coconutter, raspberries, cinnamon and maple syrup until smooth. Put in the freezer for 6-7 minutes, then remove and roll into small balls. Place on a baking sheet and stick in the freezer for another 10 minutes.